Sipping 2 to 3 cups of fresh, strongly brewed green tea daily would help you detoxify your internal system and get rid of acne as well as breakouts completely. It will enrich your body with 240 – 320 mg polyphenols, which have awesome effects on annoying zits. You can prepare the infusion just by adding some green tea extract to the boiling water. But if you want to turn it into a delicious beverage, you can add almond milk or coconut milk and honey to it. Taking oral supplements containing green tea extracts can also help you prevent, treat and cure acne successfully. You should determine your requirement of antioxidant EGCG catechins at first and then take it anywhere between 100 mg and 750 mg depending on that. Prepare your own natural facial toner by adding distilled water to some freshly brewed green tea. For the perfect consistency, take both of the elements in equal amount and blend them well. 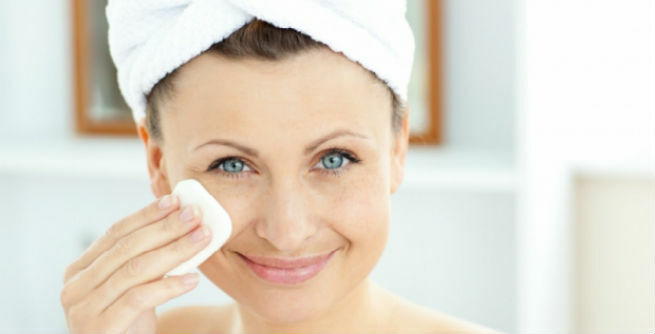 Dip a cotton ball into the mixture and apply all over the face twice a day. It will speed up the drying process of acne and give you a clear complexion. The aforementioned green tea toner can give even better results when combined with apple cider vinegar. Prepare the mixture in the previous way and pour 2 tablespoons of organic apple cider vinegar into it. Mix well and apply in the same way. Toning your face with it regularly can eliminate acne and other breakouts efficiently. Acne can also be treated by following a green tea facial regime. Take a bag of fresh green tea extract and steep it into a pot of boiling water. After a few minutes, take it out of the water and dab onto the troubled areas of the skin. You can also apply the liquid with the help of a small cotton ball or a washcloth. Once it dries, wash off with fresh cold water. There are lots of beauty products available in the market, which contain green tea extracts. Topical application of these green tea creams and lotions can also give you effective results in acne and pimples. It has been found that the application of products containing 2 to 3 percent of green tea extract can reduce blemishes and lesions as much as 60 percent. 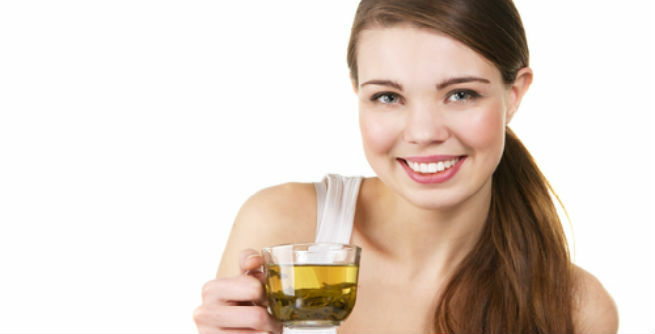 You can boost the power of your skin care products by mixing green tea infusion with them. Just take a teaspoon of freshly brewed green tea and add it to your acne-healing gel or cream prior to applying. It would help you a lot in treating and curing your existing acne and prevent further breakouts too.